Charlotte Mason says that "education is the science of relations" and that children should build a relationship with the things that they study. This relationship led Luke to read Kildee House (a book we read together as a family several years ago). It a darling chapter book that just happens to be illustrated by Barbara Cooney, my favorite illustrator. It seems as if a switch has flipped in Lola’s brain in the last few months. She is paying attention and is interested in so many things. Together we’ve watched deer as well as an adult squirrel and two babies in our yard. Since she started playing with her bird cards, she has pointed out a robin and an eagle to me when we were outside and she was pretending to be a baby ruby-throated hummingbird (but she didn’t think it was quite fair that only males had ruby throats) while picking out a tiny rock that could be her egg. I originally chose that haiku because we learned the location of Mount Fuji this past year, but it turns out that Kobayashi Issa wrote 54 haiku about snails! We’ve been enjoying the picture book Cool Melons—Turn to Frogs! The Life and Poems of Issa. It’s a gentle reminder to pay attention to nature and savor it. 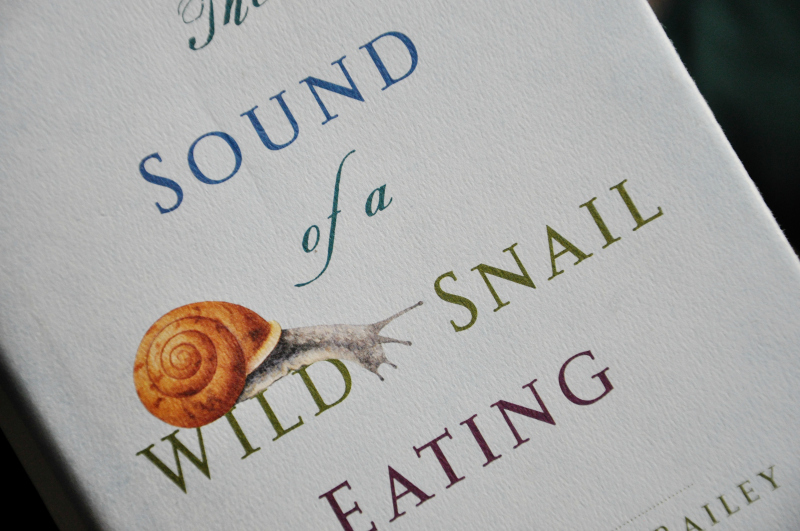 The Sound of a Wild Snail Eating is full of literary references—Issa, A.A. Milne, John Donne, Emily Dickinson, and so many more. We’ve looked up definitions for words like humus (not to be confused with hummus); we’ve discussed the words sinistral and dextral and wondered if the word sinister originally had to do with left-handed people. We have been allowed to see life from the eyes and mind of someone who is bed-ridden; we have have been taught to slow down and see that a small thing can be very large indeed if you take the time to look. We are now in search of our very own snail to love. Luke, as I’ve mentioned, has enjoyed baking and experimenting in the kitchen this past year or two. My sister, knowing his love of baking and his love of interesting science facts and his love of reading, gave him What Einstein Told His Cook: Kitchen Science Explained for his birthday at the end of May. Luke sped through it and loved it, and then Leif devoured it as well. Chemistry in the kitchen—a perfect relationship. Knowing how much Luke enjoyed that book, I ordered The Disappearing Spoon: And Other True Tales of Madness, Love, and the History of the World from the Periodic Table of the Elements. He had already enjoyed The Mystery of the Periodic Table and had spent hours poring over the exquisite Elements: A Visual Exploration of Every Known Atom in the Universe, so I thought this would be a great next read. I was right—he loved it! From New York Times bestselling author Sam Kean comes incredible stories of science, history, finance, mythology, the arts, medicine, and more, as told by the Periodic Table. The Disappearing Spoon reminded me of Salt: A World History, so I grabbed that one off the shelf and handed it to Levi. Who knew that salt was so involved in world history, from ancient to modern times? Kurlansky’s Cod and Paper are on my wish list. 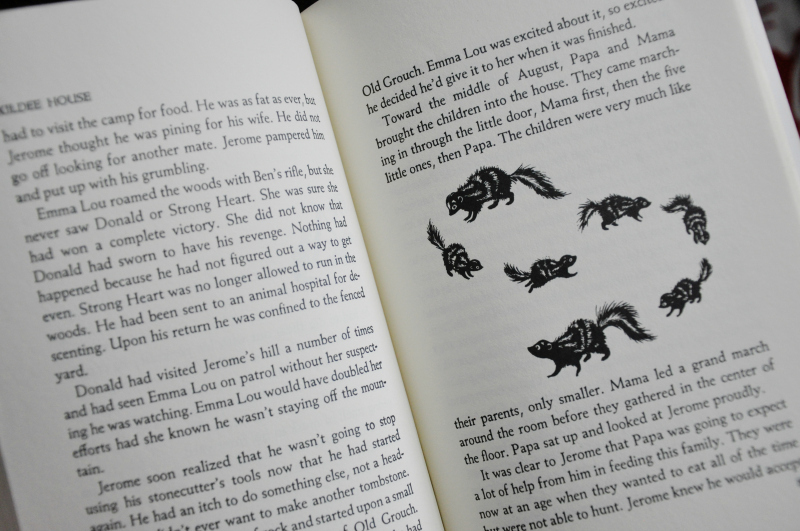 As soon as we finish reading aloud The Sound of a Wild Sail Eating, we will start on The Wild Muir: Twenty-Two of John Muir's Greatest Adventures. We’ve read several picture books about John Muir, but this will be the first time we have read about his adventures in his own words. We may not be successful nature journal-ers, but we’ve had a rather successful summer of living books and outdoor exploring. I call that a win.